Aircraft :Single engine aircraft such as Cessna 172 or similar capable of 105 to 125 kias. Communications : Australia uses CTAF (Common Traffic Advisory Frequency) for radio comms at uncontrolled airfields. VATSIM pilots connecting to the network using FSCOPILOT/FSINN can install an additional file that provides the ability to tune the CTAF frequency and make voice announcements to other pilots on frequency. These files can be obtained via this link. For pilots connecting to VATSIM using VPilot, there is a work around that enables these pilots to also take advantage of online voice CTAF. Refer to this informative VATPAC Forum post to learn how to implement the work around. Similarly, this work around has been reported to be successfully adopted for X-Plane using the X-Squawkbox client. As of yet there are no available instructions for doing this. Parafield is a general aviation class D aerodrome and is located in close proximity to Adelaide International Airport and RAAF Airbase Edinburgh. 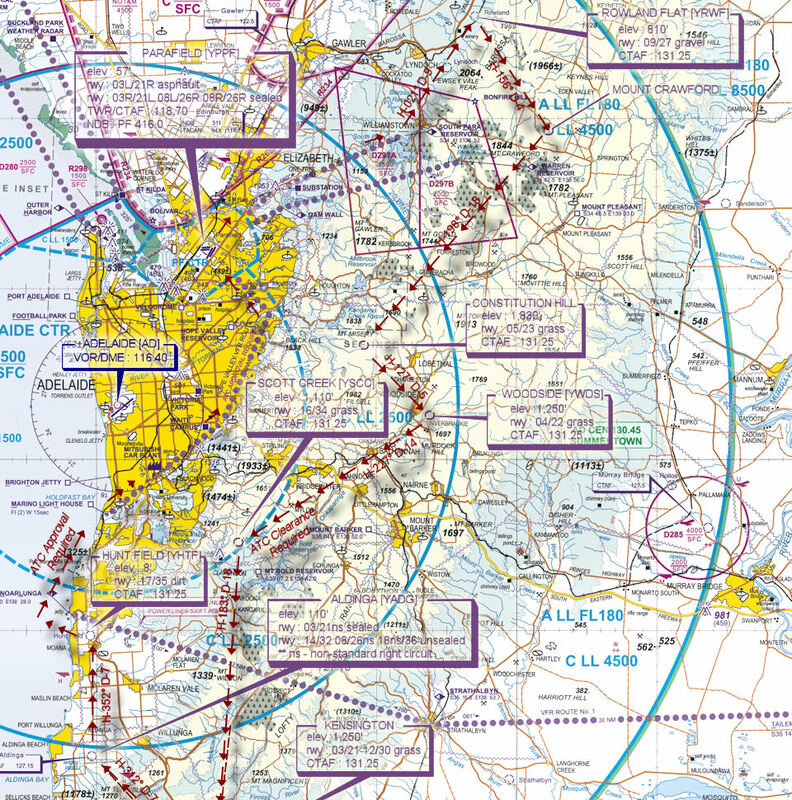 An excellent source of information for Parafield VFR operations inbound and outbound can be found in CASA's "Ontrack" Online Reference Resource. Pilots unfamiliar with Parafield Operations are encouraged to visit the site and review available information prior to operating within Parafield airspace.